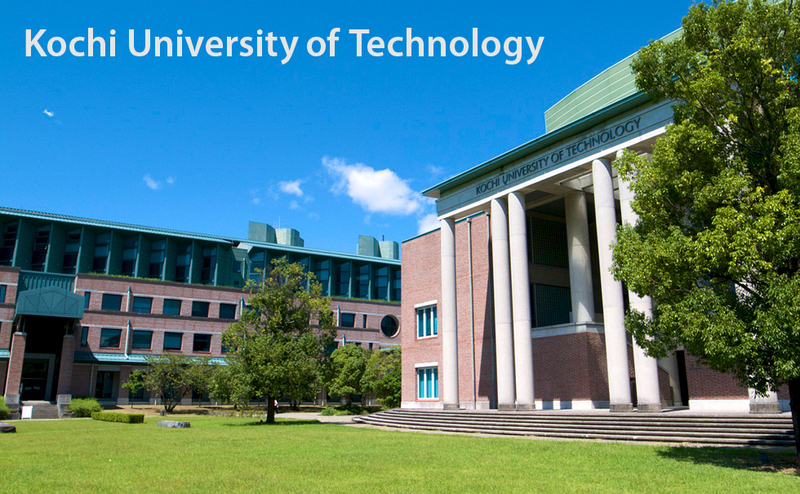 KUT has signed MOU and Student Exchange Agreement with Indian Institute of Technology Bombay (IITB), India new! On Feb 27th, 2017, Kochi University of Technology (KUT) and Indian Institute of Technology Bombay (IITB), known as a top ranking university in India have signed the Memorandum of Understanding and Student Exchange Agreement. This is the 45th academic exchange agreement for KUT. On February 17th, Prof. Somnuk Tangtermsirikul, Director of Sirindhorn International Institute of Technology (SIIT), Thammasat University, Thailand visited Kochi University of Technology (KUT). SIIT is one of the longtime partner universities of KUT. Paper by Prof. Yoshio Kamijo, School of Economics & Management, Associate Prof. Asuka Komiya, Hiroshima University, Lecturer Nobuhiro Mifune and Prof. Tatsuyoshi Saijo, School of Economics & Management will be published in “Sustainability Science”. This paper shows one of the experimental works directions of Research Center for Future Design, Research Institute. 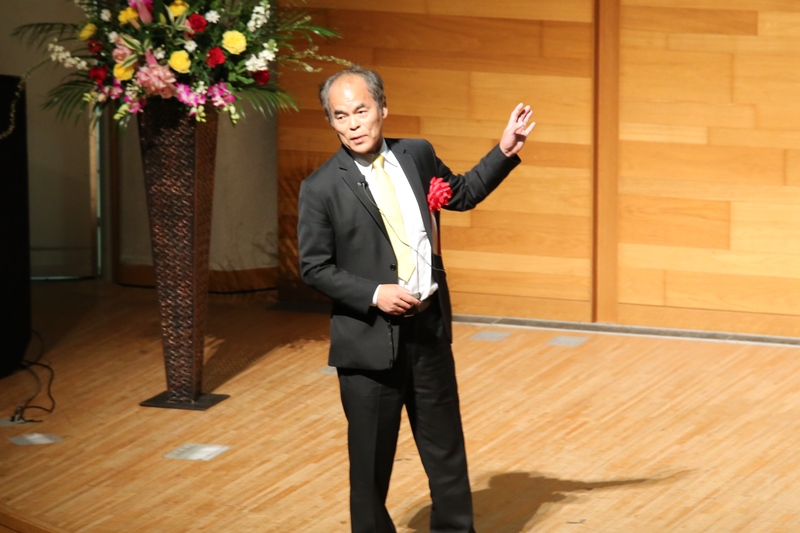 Prof. Shuji Nakamura, a Novel prize winner, gave a special lecture. On January 23rd, a winner of Novel Prize in Physics, Prof. Shuji Nakamura, University of California, Santa Barbara, gave a special lecture “Invention of high efficiency blue LEDs and solid light source in the future” in Kami campus. 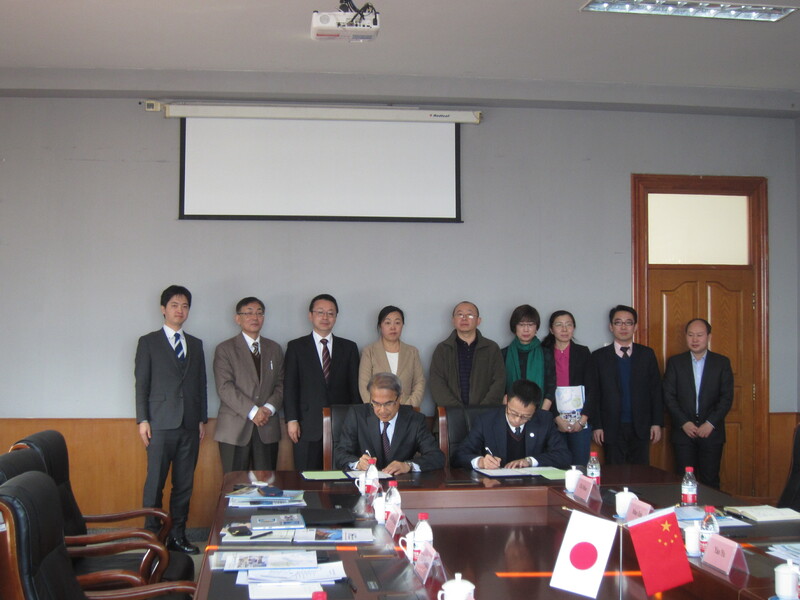 President Masahiko Isobe and 4 delegates from Kochi University of Technology visited partner universities in Harbin, China from January 4th to 7th. 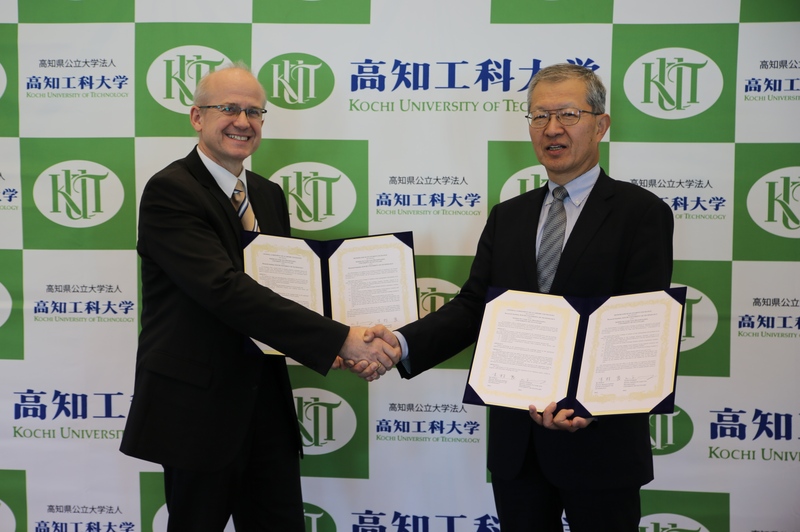 The Research Institute of Kochi University of Technology (Director, Ryo Kumura) and The Institute of Large Area Microelectronics of University of Stuttgart (Director, Norbert Fruehauf), Germany signed an Academic Cooperation and Student Exchange Agreement on Dec. 5th at Kami-Campus. A visiting researcher of KUT won the best paper award in ACM ISS 2016. 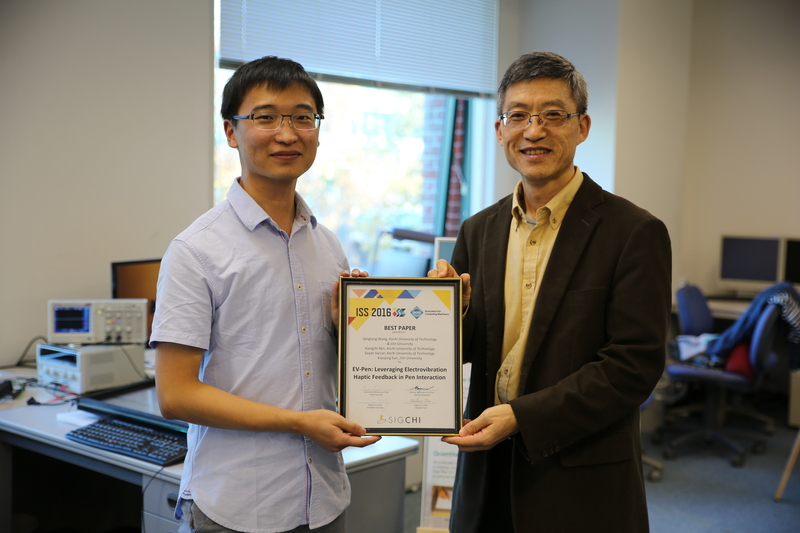 Mr. Wang Qinglong, Visiting researcher of Center for Human-engaged Computing, Kochi University of Technology (KUT) won the best paper award in “ACM ISS 2016 IN NIAGARA FALLS, CANADA” held on November 6th to 9th. 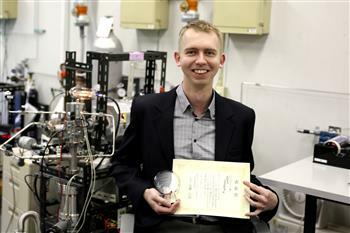 Out of 119 papers, only his paper was selected for this award. 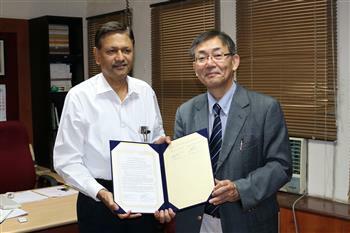 Delegates from Gyeongnam National University of Science and Technology　visited Kochi University of Technology. On November 8th, Dr. Kim Byungcheul, General Director of International Exchange and Language Education Center and Dr. Park Sanghyeok, Dean of Office of Planning Administration, Gyeongnam National University of Science and Technology (GNTECH) in Korea visited Kochi University of Technology (KUT). GNTECH is one of the partner institutions of KUT. 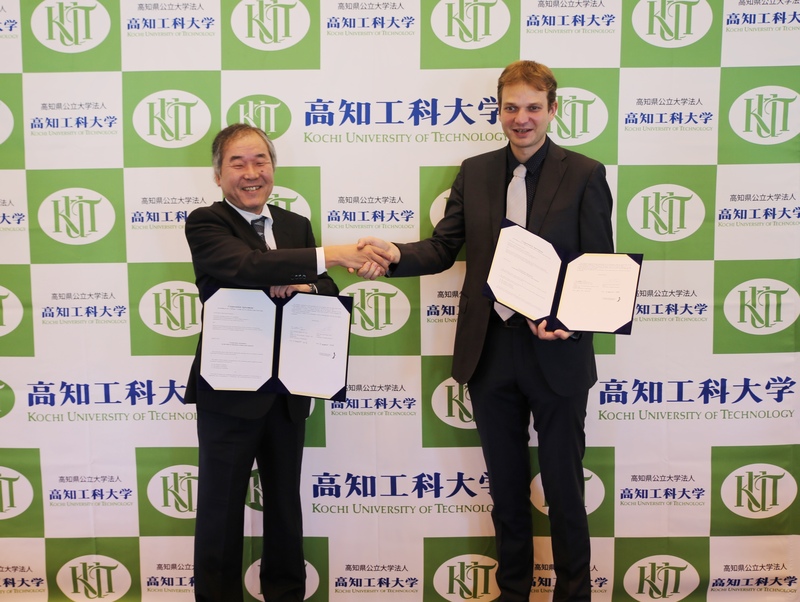 The School of Environmental Science and Engineering of Kochi University of Technology and University of Hradec Kralove of Czech Republic signed an Academic Cooperation and Student Exchange Agreement on Nov. 4th at Kami-Campus. 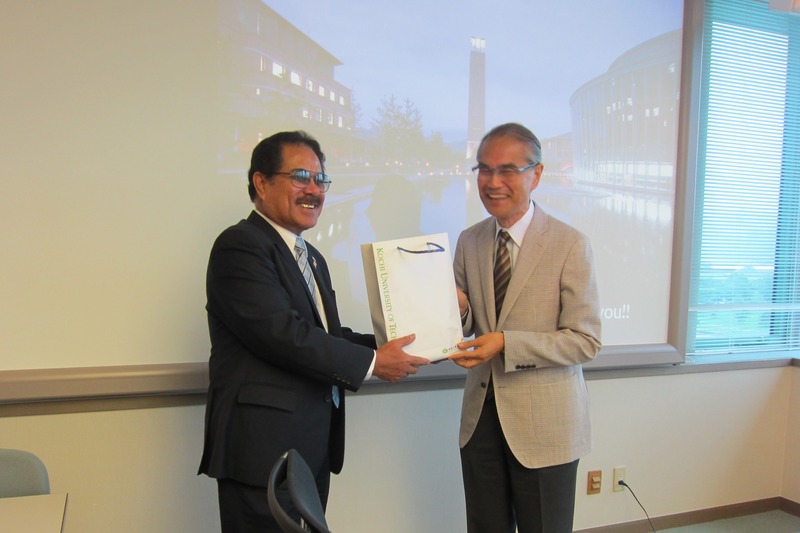 KUT is the first Japanese University to sign an agreement with UHK. 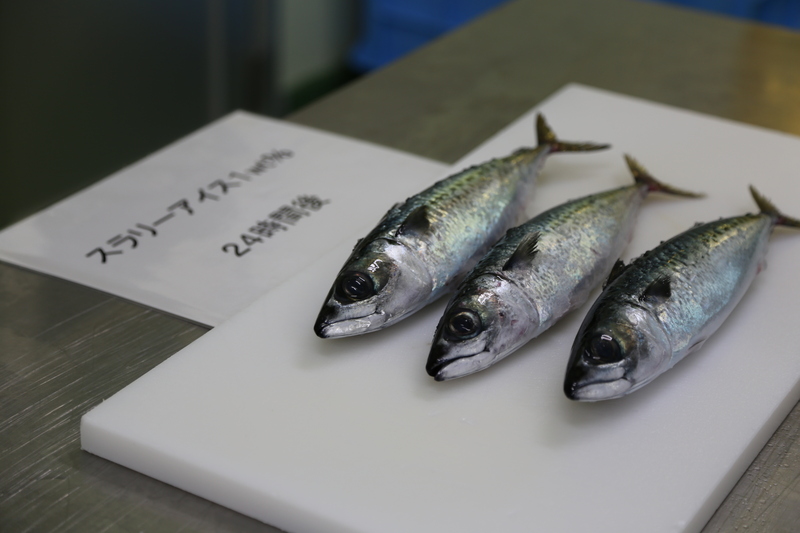 IxAP 2016 & IDHF 2016 was held. International Symposium on Interactive Technology and Ageing Population (IxAP) 2016 & International Symposium on Interaction and Human Factors 2016 (IDHF) was held in Kochi University of Technology (KUT) on October 21st. The team of Associate Professor Kikuma Watanabe, Environmental Design of Architecture Laboratory, School of Systems Engineering, Kochi University of Technology built Shinto shrine in a depopulated village in Kochi. 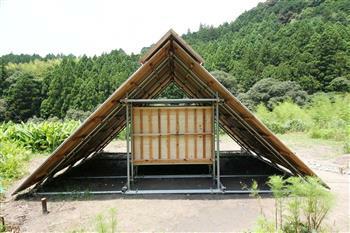 Their shrine was selected as one of the Winners of World Architecture Community 23rd Cycle. 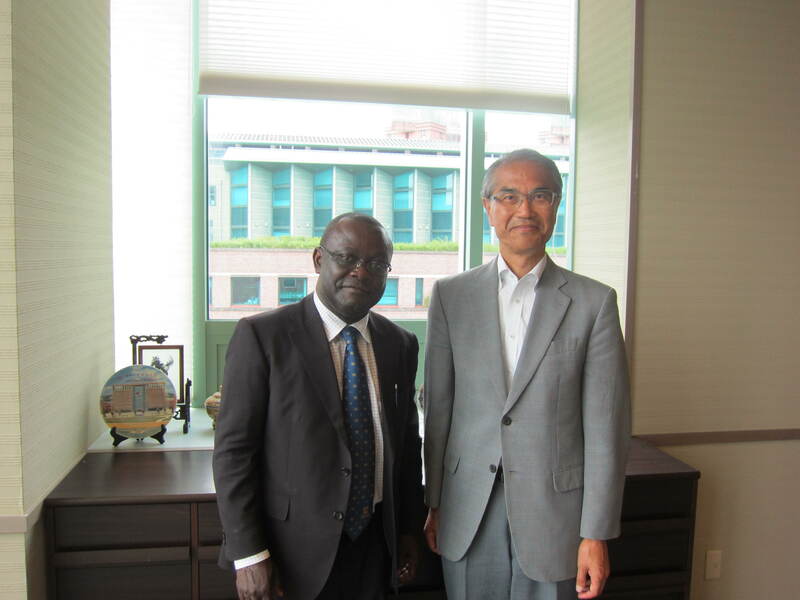 On September 6th, Vice-Chancellor Ebenezer Oduro Owusu from University of Gahna visited Kochi University of Technology (KUT). A paper of Visiting Researcher Tomohito Yamasaki was accepted by “Proceedings of the National Academy of Sciences of the United States of America”. He was a Research Associate in the School of Environmental Science and Engineering in Kochi University of Technology (KUT) until March 2016. He conducted the joint research activity with the group of Stanford University and University of Nebraska and announced their research result under the supervision of Prof. Takeshi Ohama, School of Environmental Science and Engineering, KUT. 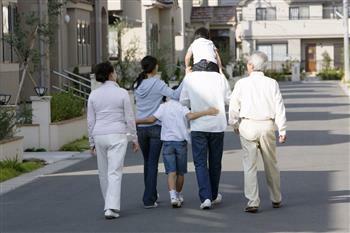 The research team that onsists of Research Associate Takahiro Kimura, Research Center for Brain Communication, Kochi University of Technology and Prof. Daichi Nozaki of the University of Tokyo etc found out that non-invasive brain stimulation can tag and retrieve human motor memories by altering the background activity patterns of the sensorimotor cortex. YOSAKOI Summer School was held. 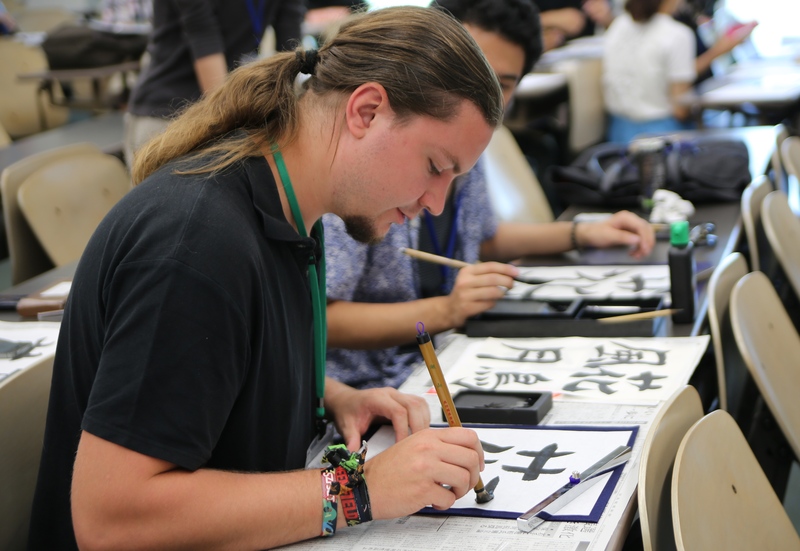 The 5th “YOSAKOI Summer School” was held from August 4th to 13th. 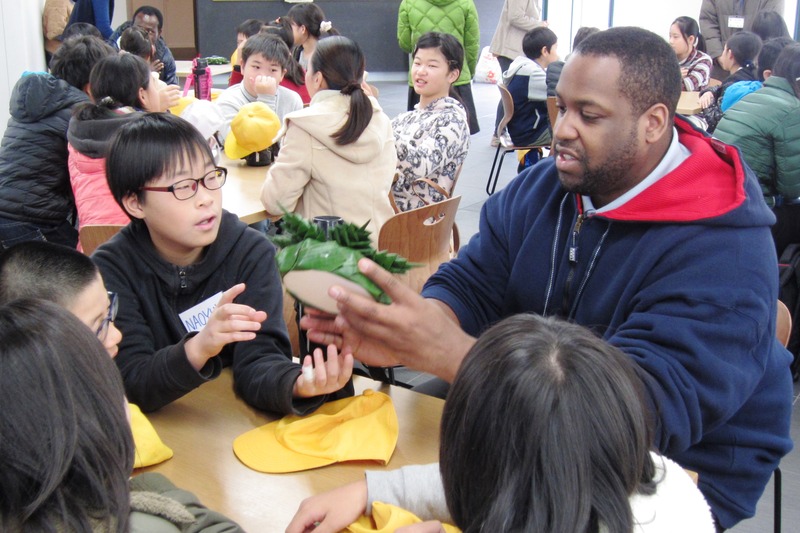 The program has been adopted as “Japan-Asia Youth Exchange Program in Science” (SAKURA Exchange Program in Science) and subsidized by Japan Science and Technology Agency. 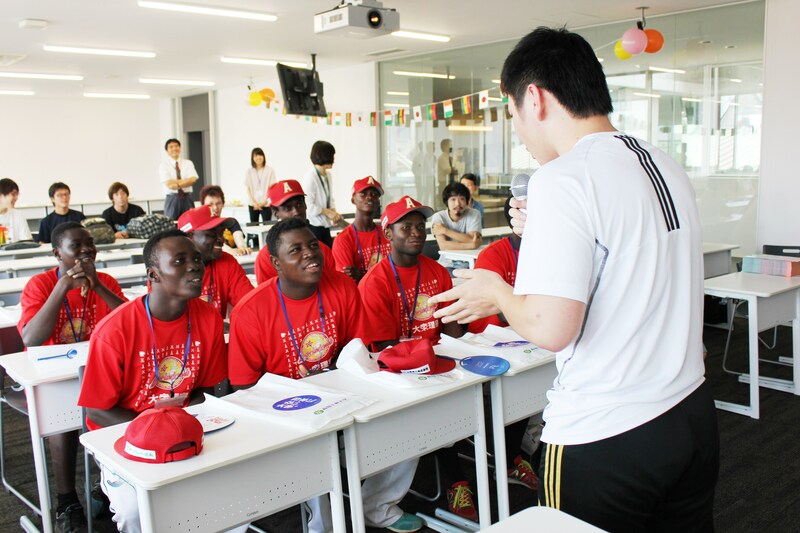 On July 20th, an exchange meeting of 20 students of Kochi University of Technology (KUT) and 8 baseball players from West Africa was held in a class “Sports Industry” by Associate Prof. Atsushi Shojima, School of Economics & Management at Eikokuji Campus. 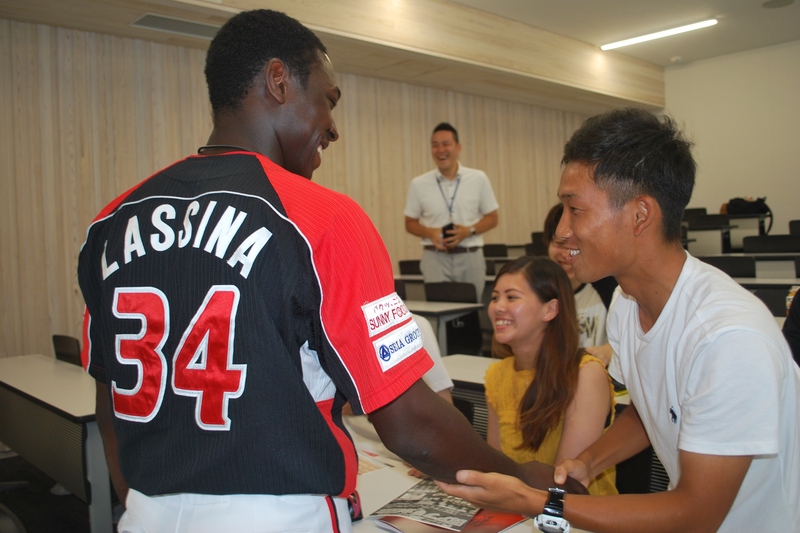 Mr. Sanfo Lassina who is a professional baseball player of Kochi Fighting Dogs gave a lecture in a class, “Sports Industry” by Associate Professor Atsushi Shojima, School of Economics & Management. 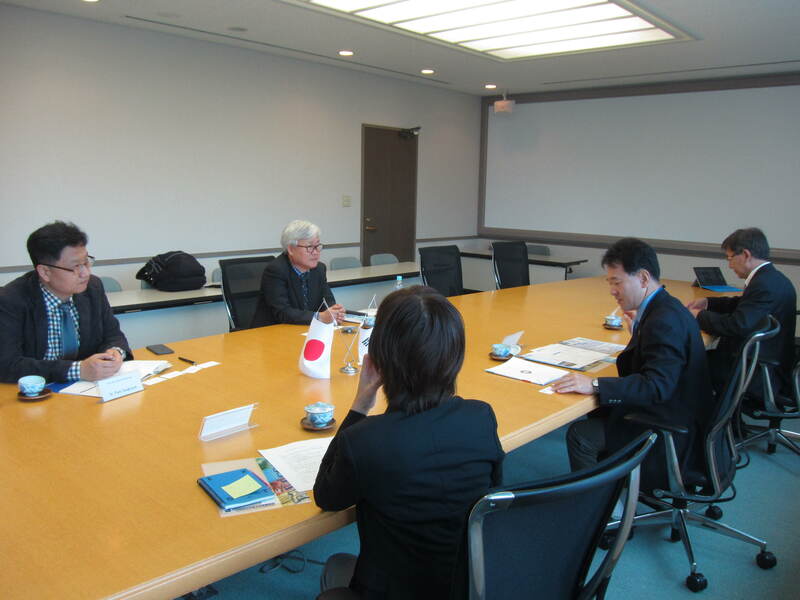 On June 16th, Roger Shigeru Mori, Minister of Embassy of the Federated States of Micronesia in Japan, paid a courtesy call on Kochi University of Technology (KUT) and shared ideas with President Masahiko Isobe and Prof. Akimitsu Hatta, Chair of International Relations Center, over the possibility of the future interaction. A new paper of Prof. Nakahara and his colleagues was published in “Nature Communications”. Prof. Kiyoshi Nakahara, School of Information, Research Center for Brain Communication, and his colleagues clarified that long-term associative memory is encoded in spatial patterns of theta activity in the brain. 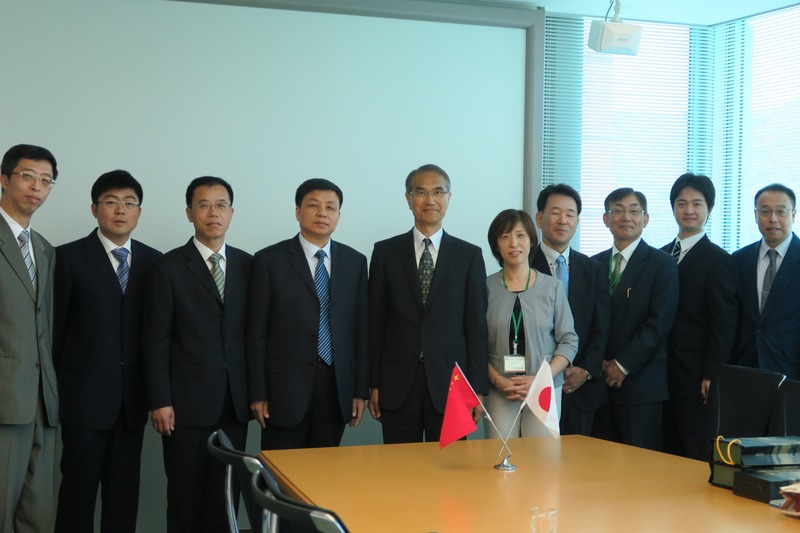 On May 23rd, Prof. SU Xiaoming and three delegates from Shenyang University of Technology, China visited Kochi University of Technology (KUT) and discussed the further exchange development with President Masahiko Isobe, Prof. Akimitsu Hatta, the chair of International Relation Center, Designated Prof. Shinichiro Sakikawa, International Relations Center and Prof. Wang Shuoyu who is a graduate of Shenyang University of Technology. 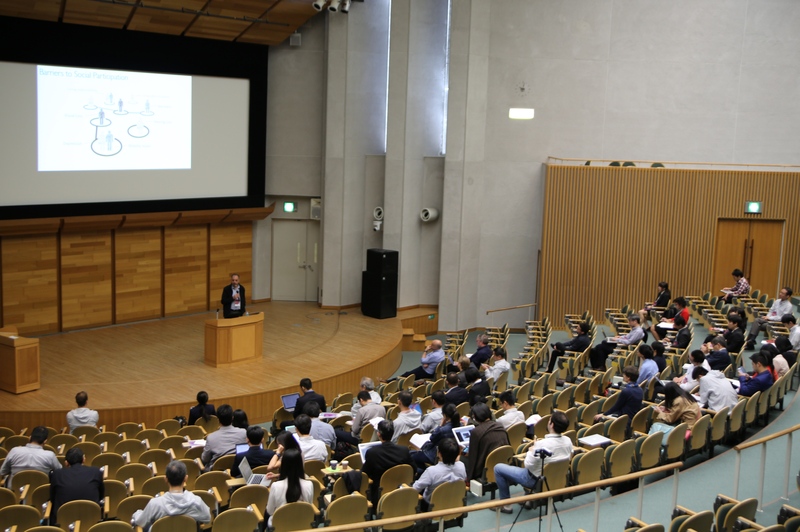 From March 24th to 27th, the 96th spring symposium of the Chemical Society of Japan was held at Doshisha University in Kyoto, Japan. 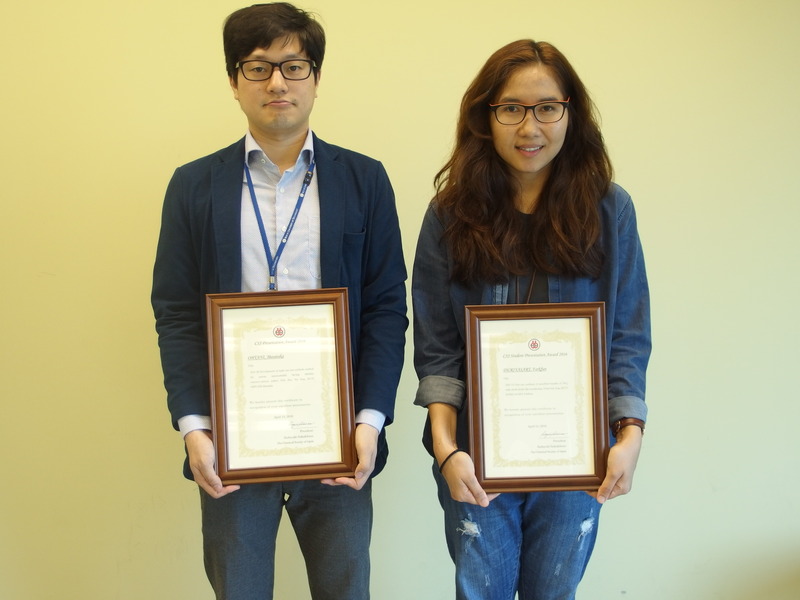 Ms. Farkfun Duriyasart, a doctoral student of Graduate School of Engineering earned student presentation award and Lecturer Masataka Otani won the best presentation award. Mr. Adam Pander, a doctoral student of Advanced Energy Nanomaterials Laboratory of Associate Professor Hiroshi Furuta, who studies in the Engineering Course, Graduate School of Engineering, Kochi University of Technology (KUT) won the best poster award at Institute of Laser Engineering Symposium on April 19th to 20th in Osaka. Out of 56 presenters, 2 presenters were selected for this award. Songkran and Pohela Boishakh Party was held. 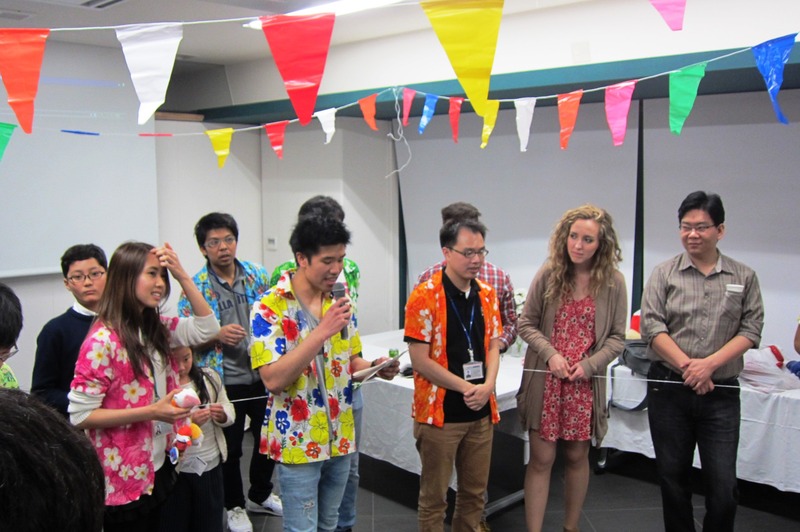 On April 8th, Songkran and Pohela Boishakh joint party was held at International House. 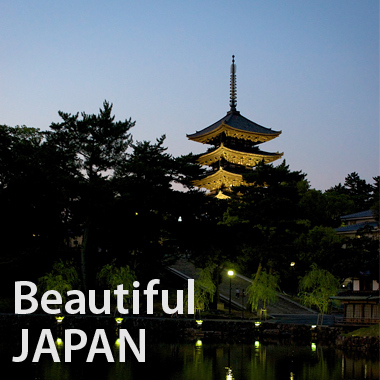 Multilingual apps for Kochi city travel guide were developed by KUT students. 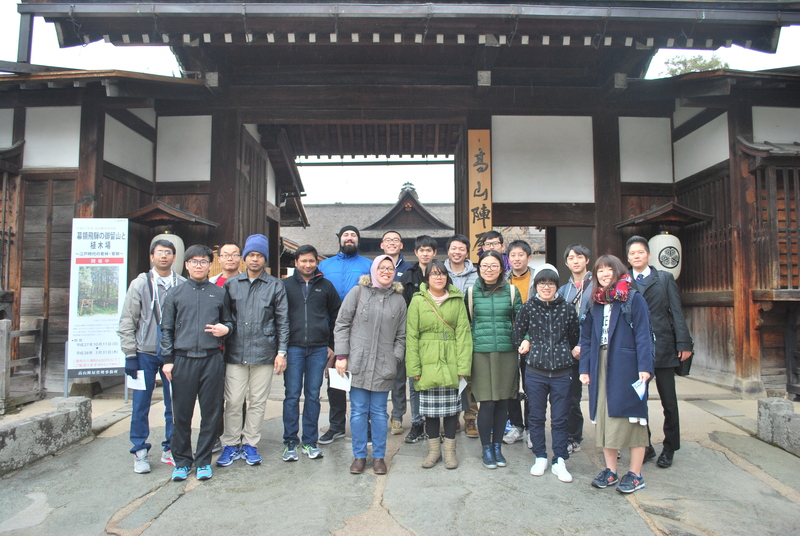 14 KUT international and 3 Japanese students joined the Japan Cultural Tour to Shirakawa-go, Gifu Prefecture and Nagoya city from 4th to 6th March 2016. 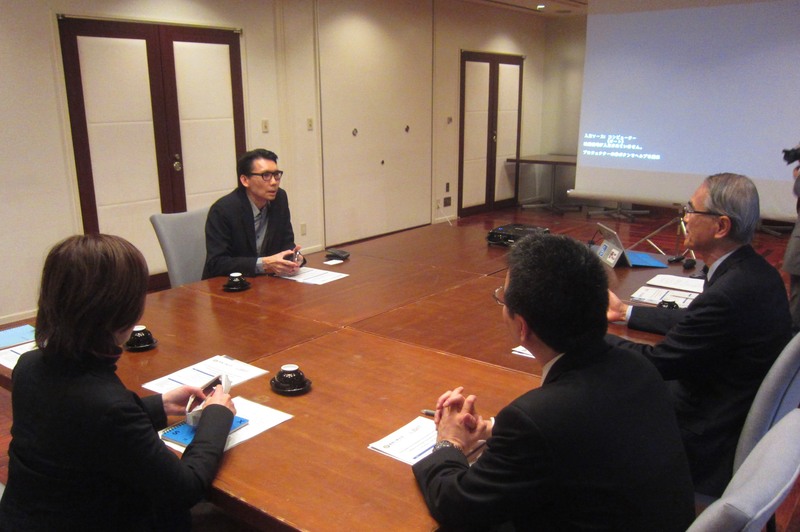 Revitalization Promotion Program by Japan Science and Technology Agency supports research development to industrialize earthquake-affected firms and research institutions for the purpose of revitalization from Great East Japan Earthquake. 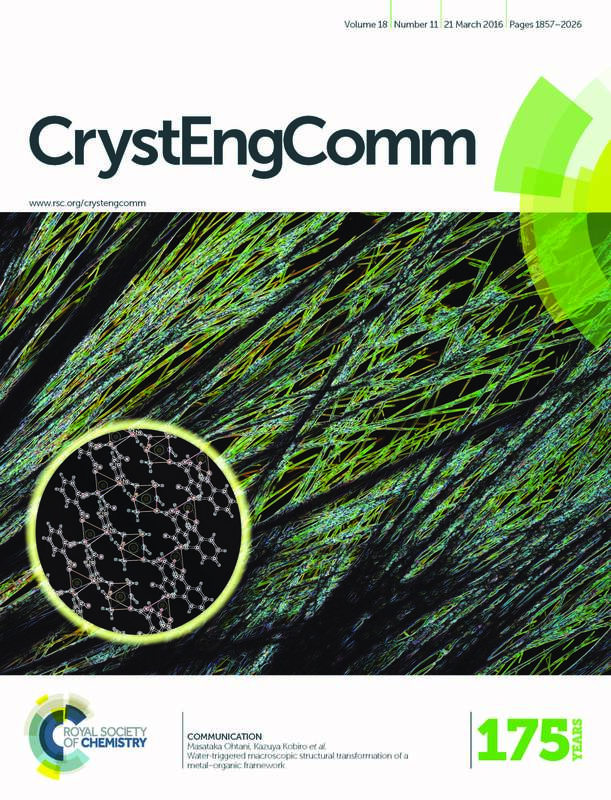 Research Associate Masataka Otani’s research image appeared on the cover of “CrystEngComm2016”. A research image of Research Associate Masataka Otani and Professor Kazuya Kobiro was adopted as a cover picture of “CrystEngComm2016” of Royal Society of Chemistry, UK. 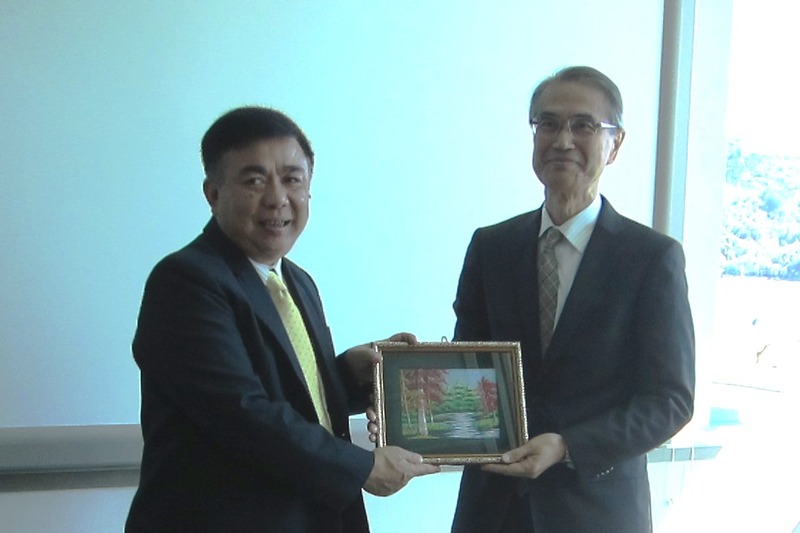 On February 18th, Rector Nyunt Phay and two delegates from Pathein University, Myanmar visited Kochi University of Technology (KUT) and shared their ideas over the further promotion of academic exchanges with President Masahiko Isobe, Prof. Tsunemi Watanabe, the chair of International Relation Center in the relaxed atmosphere. Students of School of Information have made a tourism app for foreign tourists visiting Kochi in cooperation with Kochi City and Kochi City Tourism Association. 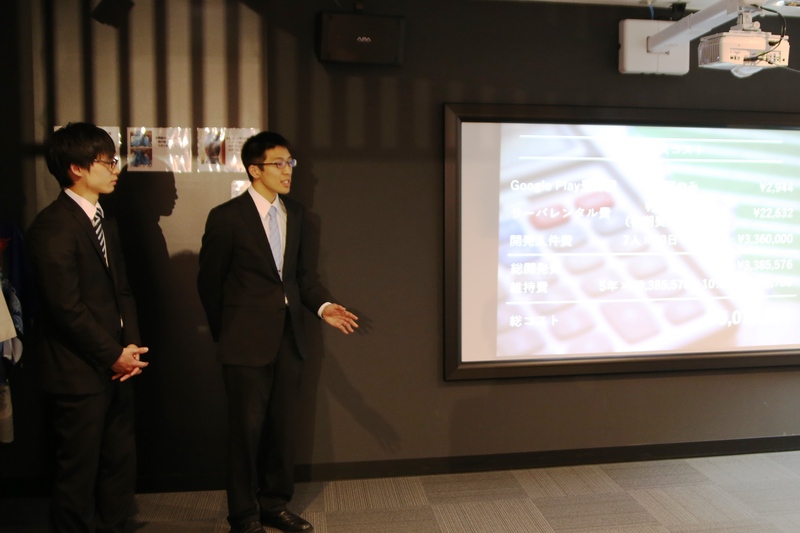 This app is based on “Cavigator” which was developed by the students last year under Associate Professor Yoshiaki Takata, School of Information, who received a request from Ryugado cave preservation association, Kami City. In addition to Ryugado cave, guidance of some tourist facilities in Kochi City in Japanese, English, Korean, Pekingese and Formosan became possible now. 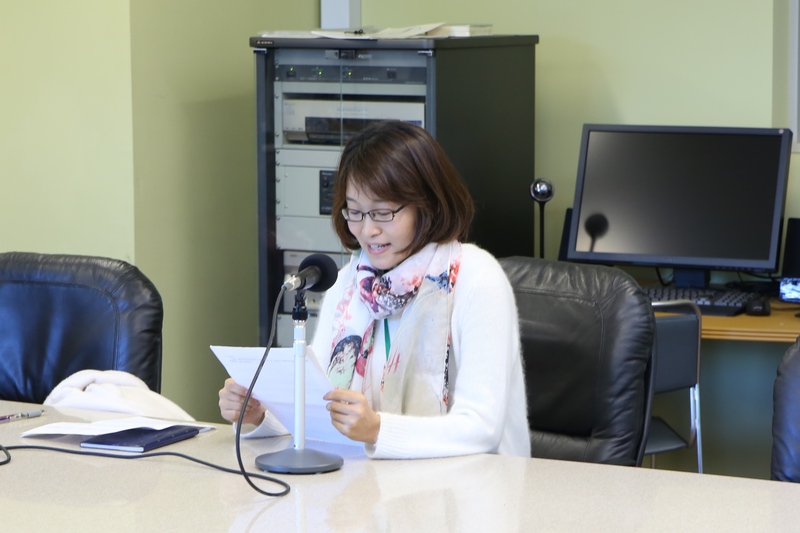 On January 21st, about 30 students of Omiya primary school in Kami city visited Kochi University of Technology (KUT) and communicated with KUT overseas students at International House.